hy72ir6n49g5z831meqb The Big PubLove Event – Featuring Lisa Wray and Harlequin! This week we are extremely excited having Lisa Wray over who works at Harlequin and is the one working very closely with bloggers. Of course, we have an even more personal connections since we are working with Lisa on all Harlequin Blog Tours via Kismet Book Touring. And I can say that working with Lisa is simply amazing! Lisa thank you so much for joining us today!!! We’re so thrilled to get to give our readers a deeper look into the life of a Harlequin professional! I am the public relations coordinator at Harlequin and this involves creating events, getting media coverage, reviews, blog tours, for not only Harlequin TEEN but the other imprints that Harlequin has as well. I work with book bloggers when we have blog tours, through NetGalley, when I’m soliciting reviews and sometimes I get to meet them at various events. When I get to contribute creative ideas to a PR campaign and when I get to travel for Book Expo America and the Romance Writers of America conventions. They have the same enthusiasm as I do for the written word, especially for a lot of the teen titles that I work on. An honest opinion, but keeping in mind that the auhor may read the review, so keeping it professional. Book summary, short author bio, links to purchase and link to the authors website is also appreciated! First I look for followers, then I check if there is a cooresponding Facebook page or Twitter, check to see if they post frequently and that the blog is up to date, look for comments on posts or entries into giveaways as this lets me know whether the audience is engaged with the posted content. Is there anything that you don’t like us to do? For instance, posting too early, posting too late, not adding links, etc. Writing any type of really negative post about an author or their work or plagerism from another website. Is there an event or interaction you had in the recent past that went particularly good that you’d like to share? We recently had a whole Harlequin TEEN week event with Teen Librarian Toolbox. They were very helpful and took on the role of organizing all of the details, so it made it easy to be involved. I just Love Lisa! And if you see her at BEA or any other conference say Hello!! Plus, she loves bloggers just as much as we love her!! and HarlequinTEEN offers 4 amazing ARC’s for you to win!! Giveaway is US /Canada only and you can enter via the Rafflecopter below! So now it’s again your turn, what would you like to know from Lisa. Is there something that surprised you? I ADORE what Harlequin Teen’s been putting out these past couple of years! They’re sweet and well-written and all-around great stories. YAY! Lisa’s job sounds like a blast. I think it’d be so much fun to have a job where you get to “hang out” with bloggers and get paid to not just read awesome books but promote them, too. Hello =) I’d like to know what your favorite book of all time is? Hi Heather. Personally, I have to say my favorite book of all time is the book that really got me into reading: THE GIVER by Lois Lowry. Otherwise, I LOVE classic lit and was recently obsessed with REBECCA by Daphne Du Maurier. I dont think i could possibly pick just one favorite! I have never been able to pick a favorite book, because it changes everyday! I just love reading! One of my favorite Harlequin Teen books this year is Hooked by Liz Fichera. I’m really looking forward to the next book in that series and the release of Kate McGarry’s Dare You To. I adore these posts, Danny! I met Lisa last year at BEA and she is so incredibly sweet. Seriously, this girl rocks. I love working with her. Yes, please! I’ll be there Thursday-Saturday! Thank you Lisa for sharing about your job! It looks like so much fun! I like a lot of Harlequin Teen books and the ARCs offered for this giveaway look amazing! Keep up the great work! This is a really cool & fun post! Love getting to know the people who coordinate events around our favorite books/authors! Sounds like a fun and engaging job! Love HarlequinTeen authors – especially Julie Kagawa and Rachel Vincent! Hello, thanks so much for this awesome giveaway! My favorite book right now is Cinder by Marissa Meyer. Amazing book!!!! Hi – Thank you for the really nice giveaway. I haven’t worked with Harlequin outside of NetGalley where I’m on auto approve (which I LOVE!) but I do love the books they put out! I don’t know if I could even tell you a favorite but I REALLY love the Steampunk Chronicle books! Thanks Lisa for giving the duties of your job title. It is a very interesting position to have. Thanks for the giveaway. Do you have a favorite cover of 2012? Fantastic interview and a pleasure to meet you Lisa. I adore working with the folks at Harlequin and all of the different authors that make their home there. They have really evolved in the last 12 years and the books I have been reviewing have been amazing. Is there a book for 2013 that you are most excited for ? What is you most covet book for last year ?? Again, I love all of the Harlequin TEEN titles so much, but for 2012, I have to say it was a tie between THE GIRL WITH THE STEEL CORSET by Kady Cross and THE IMMORTAL RULES by Julie Kagawa. Hi Lisa! I love Harlequin Teen! They’ve got my favorite combinations anything and romance! I think I’ve been reading Harlequin since I was in about 7th grade. I won’t tell you how long that is! 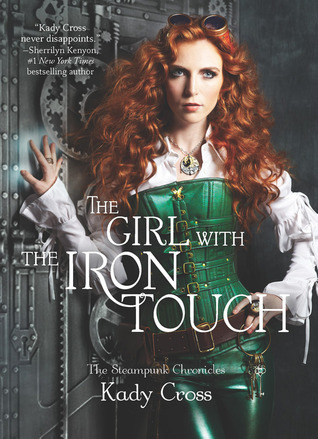 You’ve got so many great titles coming out this Spring and Summer, I can’t wait for The Girl With The Iron Touch, Dare You To, Ink wow great things coming in the Fall too! I gotta find some time to read! What has been your favorite lifetime book so far? And if it was a movie, would you want to be the main character? Awesome post. Danny! I really like Lisa and Harlequin Teen, they are super easy to work with. I appreciate hearing this feedback so much, and I also appreciate their position on plagiarism in particular. It’s nice to hear a publisher make a point about these things. I think this is my favorite feature you ladies have run on the blog. While I haven’t worked with Harlequin Teen much, the time or two I have I always have loved it and I just adore their books since they have some of my favorite authors (namely Julie, Aimee Carter, and Hannah Harrington). Plus they have some outstanding looking titles coming up! One of my favorite Harelquin books is definitely The Immortal Rules by Julie Kagawa, I can’t wait to get my hands on the sequel. I’m not a blogger and even when I post reviews on Goodreads, I try to be semi-nice about someone’s work, but there are times when I have to go off like a bottle rocket because the story was just so awful (it seems this is happening more and more with the NA genre as even well-known authors seem to be publishing dreck just to jump on the bandwagon) or they’ve messed the plot and/or characters up so badly, in my opinion. Are you saying you wouldn’t want a blogger to express how much they disliked a book, even if it wasn’t a personal attack on the author, simply because it’s negative and might dissuade people from buying the book? Good question Kristin. I think there is a fine line between providing some creative criticism and attacking someones work. I never prohibit bloggers / reviewers from voicing their opinions though, as I believe they should have control over the content that they post on their websites. After all, most of the blogs I see are creative works in their own right! Such as the lovely Bewitched Bookworms blog. I could spend hours on here surfing the posts. This feature is so informative. Thanks so much for answering the questions, Lisa! Why have I not read Pushing the Limits yet? I really need to get on that soon. 🙂 Hope to see you at BEA, Lisa! Hey Ksenia! I regrettably haven’t read any of your books but i will be soon!! I was wondering how you got into writing your genres? I’ve read Dark Side of the Moon By Sherrilyn Kenyon. 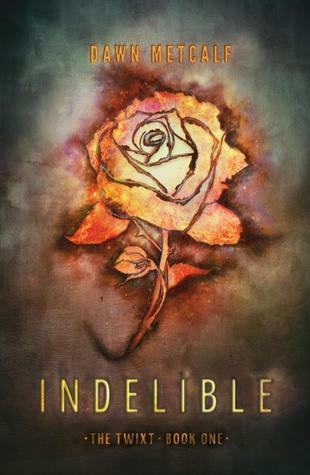 Too many books to name, but a few that stands out would be Inside by Maria V. Snyder and The Immortal Rules, which I loved though I’m not a fan of vampire. Question to Lisa: What’s the scariest thing about working as part of such a large publishing company? Weirdest/coolest thing to happen while you were on the job?